I grew up in Luton in Bedfordshire, so was delighted to hear that a parkrun was starting in the town's Wardown Park recently. Last Saturday I went along for the first time, and I'm pleased to say that it already feels like a long established event, with nearly 200 people taking part and a friendly community emerging after only 6 weeks. The 5k course takes in three and a half laps of the lake in the park, along well-shaded tree-lined paths. Mostly tarmac, but with a nice trail section up to the finish where ducks walked in the grass alongside the runners. No real hills, but some mostly gentle slopes (full details here). People meet up by Luton Museum for the briefing, where the run finishes, before walking down together to the start at the South West end of the park (New Bedford Road side). All parkruns have the same format, but they also reflect the unique character not only of their courses but of their local running communities. Wardown parkrun this weekend included nearly 50 runners from the main local clubs - Luton AC, Stopsley Striders and Dunstable Road Runners. A feature of the run too was a preponderance of strong young runners up front - five of the top ten finishers were under twenty years old, led by Rhys Lewis (Luton AC) in 17:40. Wardown parkrun is the latest development in a history of organised running in the town stretching back at least 140 years. A Luton Athletic Society and Cricket Club was in existence by 1873, when the committee of the club announced that they had secured what was to become known as Dallow Road recreation ground for its use (1). The club held an athletics meet there in October 1873 with various track and field events (2). By the times of its 1888 athletic fete, cycling had been added to the programme (3). There was also a 'Luton Hare and Hounds club', reported in March 1875 to have run 'between 9 and 10 miles' cross country from Luton to Caddington and Kenworth and over Dunstable Downs (4). Amateurism was a big deal in this period, with controversy over the extent of awarding prizes rather than cash to get around the rules prohibiting payment. It was presumably in this context that in 1892, Luton was expelled from the Amateur Athletics Association 'for not complying with an order re. under value prize' (5). I assume relations must have been repaired, because in 1894 J. Daffern of the AAA was a handicapper at the club's Whit-Monday sports day. The Luton Times reported that 'The annual Athletic Sports of the Luton Athletic and Cycling Club, took place on the Dallow Lane ground, in the most delightful weather, on Monday afternoon. The many attractions offered drew together an enormous crowd numbering, it was estimated, at least five thousand persons, the largest number which has ever assembled to witness the sports of this club'. A mixture of running and cycling races drew competitors from around the country, and the event also featured a failed balloon launch and music from the Red Cross Band - 'In the evening the band played for dancing, which was largely indulged in by those present' (6). The following Whit Monday (1895) the same event was held at Luton Town Football Ground, with a crowd of 3,000. This time the balloon ascent went smoothly. There were Half Mile and One Mile races, the former won by C S Montague of Finchley Harriers (7). By 1899, however, the Whit Monday sports meeting had dwindled. 'Meager weather' may have been one factor in the event at the football ground attracting less than 1,000, many of them children. The races failed to attract runners from outside the town, and the organisers made a financial loss (8). There seems to have been a decline in athletics at this point, but a new Luton Athletic Club was launched at a meeting on 21 July 1908, held at the Central Cafe, in Cheapside: 'The need for a well-managed athletic club in the town has been keenly felt for years past. At last a move has been made (the suggestion coming principally from the employees of the Vauxhall and West Hydraulic Engineering Company)'. The club was offered the use of the Vauxhall ground in Kimpton Road. The meeting decided that 'The club is limited to amateurs, and the colours are the cardinal shirt and white knickers' (9). A.J. Harman was elected captain at that first meeting and in the following year, in March 1909, he won what was said to be the first Marathon race in the town over 'a course of nearly 20 miles' which started in Park-square and proceeded 'via Dunstable, Houghton Regis, Sundon, Streatley and back along New Bedford Road' (at this time the Marathon distance hadn't been completely standardised). Ten of the twelve runners finished, greeted by 'a tremendous crowd' (10). Shortly afterwards, the new club's first meet took place on a grass track laid out on People's Park, with races ranging from 100 yards to the mile. The crowd of up to 1500 in May 1909 'proved an exceedingly unwieldy handful for the perspiring committee of eight, with the assistance of one policeman' (11). The club seems to have been renamed as Luton United Harriers and Cycling Club by the following year, perhaps as a result of a merger, with what was reported in July 1910 as 'the newly formed Luton United Harriers and Cycling Club' holding races at People's Park with 'Over 6,000 people... assembled round the track' (12). The club's Headquarters in this period were at All Saints Institute, Beech Hill, from where its cross country races sometimes started and finished (13). People's Park is on a slope so less than ideal for athletics, and so Luton United Harriers explored other alternatives. In 1912, it held a sports day at Stockwood Park, with running, cycling and some novelty events such as egg & spoon and sack races (14). The club also organised a one mile race at the town's American Skating Rink (15- not sure where this was in the town). The club also lobbied the Council for the use of Wardown Park, a former private estate acquired by the Council in 1904 for development as a town centre park. 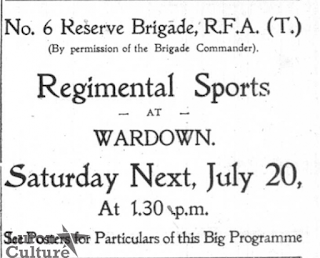 After being refused permission to hold a sports day and gala in 1911 (16) , the club applied again and a successful event was held at the Wardown Park cricket ground in May 1913 (17). In the summer before the First World War, Luton United Harriers (with Luton Town Football Supporters Club) held another Whitsun Tuesday sports day in Wardown Park, where the competitors included Willie Applegarth who 'showed marvellous sprinting powers and he was warmly applauded for his success' (18). Applegarth, who ran for Polytechnic Harriers, was one of the world's fastest runners at this point having equalled the world 100m record and set the world 200 yards record. The large industrial firms that were growing in the town in this period also entered into athletics, with their own sports clubs and grounds. In 1914 the sports day of Kent's Athletic Club included a mile relay race for local engineering firms with teams from Kent's, Vauxhall, Davis and Waterlow's ('Artisans' Athletics', Luton Times, 17 July 1914). Athletics revived after the war and by the mid-1920s a permanent grass track had been provided at Wardown Park. 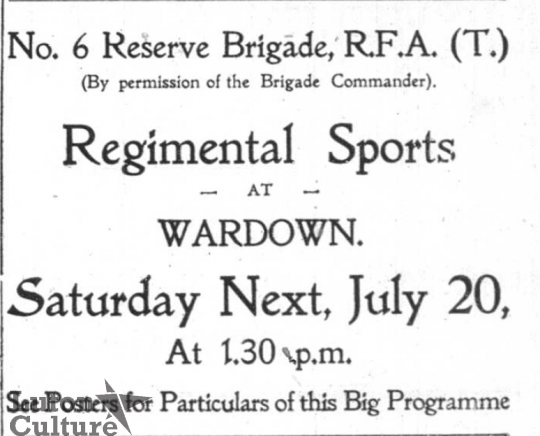 The Midland Counties AAA championships were staged in 'the new sports ground at Wardown Park' in June 1928 (20). Luton United Harriers also acquired “Oxford Hall”, 2 Union Street as their headquarters in 1926 (21). Women's athletics was taking off in this period. The club's first recorded female athlete, noted in 1925, was Ena Smith (Luton A.C. History). The first ever women's national cross country championship was held at Luton Hoo Park in 1927 ('Modern Amazons Plucky Running', Western Daily Press, 14 February 1927). National cross country championships have taken place in Luton, usually at Stopsley, on a number of occasions since - including the first combined men's and women's champs in 1995. Paula Radcliffe, who ran for Bedford and County AC, won the 1996 national students cross country champs in Luton. In 1952 the Bedfordshire County AAA Championships were held at Wardown, watched by '2000 people... basking in brilliant sunshine' (25). By this point though there was increasing discontent at the lack of an all-weather track in the town. 'No cinders yet for Luton's cinderella of sport', N.S. Paul noted in the Luton News on 1 July 1954, criticising the Council: 'it is a disgrace that Bedfordshre has no track or arena fit for international events...only a grass track in Wardown - when not debarred by other events going on there'. In the post-Second World War period, Vauxhalls became increasingly important in athletics, as the company also dominated the town as its major employer. The 'first full-scale athletic meeting held at Vauxhall Motors' new ground' in 1953, included a crowd of 6,000 with a funfair and trick motor cycling as well as athletics. Teams competing in races included Vauxhall Motors Recreation Club, Luton United AC, Skefco AC (another local workplace team) and others from further afield (26). 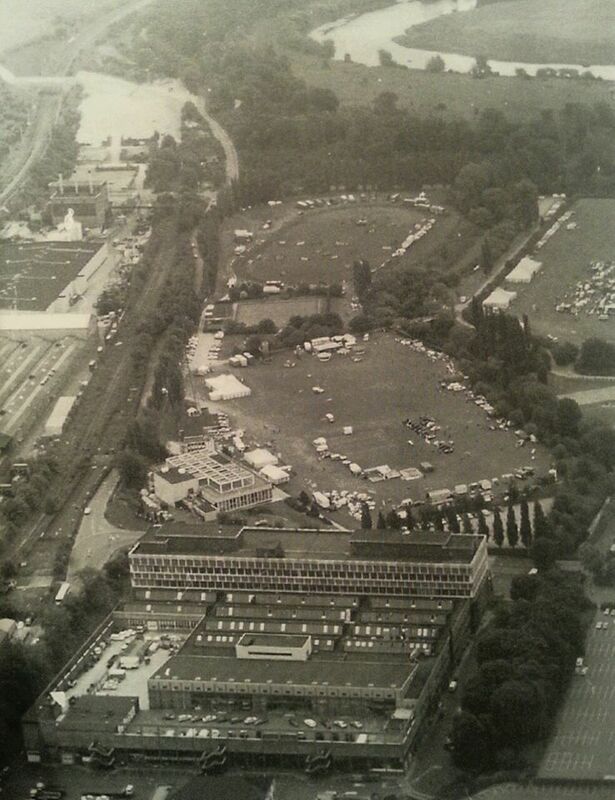 The annual Vauxhall sports day were largely based around athletics and and cycling in the 1950s but throughout the 1960s grew to a huge event, the Vauxhall Spectacular, with races supplemented with celebrity appearances, car shows, show jumping, fairground rides and more. I remember going to them as a kid, as my dad worked there. They came to an end in the mid-1980s, as the firm began to wind down its presence in the town - car production ceased in 2002. In 1998, the Vauxhall athletics club merged with Luton United to form the current Luton A.C. Some of the former Vauxhall Recreation facilities have survived as Venue 360. One of the last great triumphs of the Vauxhall Motors Athletic Club came in 1990 when a team broke the world record for a relay run from John O'Groats to Land's End. An all weather track was opened at Stockwood Park in 1977, where it remains having been resurfaced a couple of times since. Luton AC's clubhouse is there too. Another local club, Stopsley Striders, was formed in 1982 by Tony Simmons - a former Luton United runner who won a silver medal in the 10,000m in the 1974 European Championships, and set a world half marathon record in Welwyn Garden City in 1978 of 62 minutes 47 seconds. In Luton's adjoining town, Dunstable Road Runners was formed in 1983. No Luton running history is complete without mentioning its footnote in the history of the London Marathon. In the 1970s and 1980s, long distance running legend David Bedford owned the Mad Hatter nightclub in Luton (a place I sometimes frequented). As mentioned in the 2015 London Marathon magazine, 'On a Saturday night in 1981, future London Marathon race director and former 10,000m world record holder Dave Bedford was in the Mad Hatter, the nightclub he then owned in Luton. Several beers down, he accepted a bet of £250 that he could not complete the following morning’s inaugural London Marathon. Four piña coladas, a phone call to race co-founder Chris Brasher, a king prawn curry and another pint later, Bedford finally got to bed at 04:45. Just 75 minutes later he awoke and headed to the start. Despite being spotted on BBC TV looking less than his usual vigorous self, Bedford completed the race before falling asleep in a pub'. 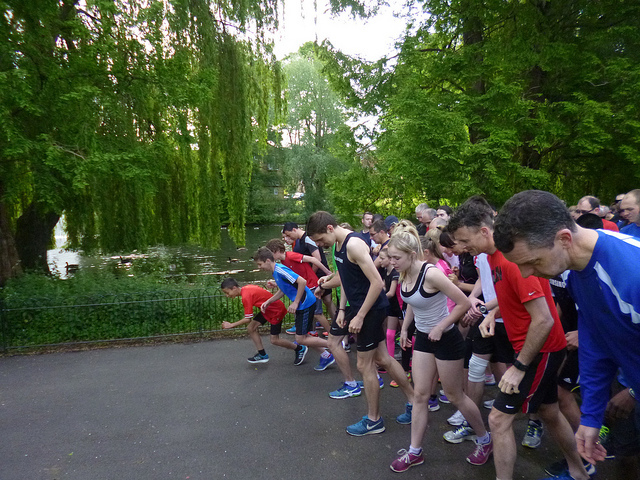 And on 18 April 2015, parkrun came to Luton. Long may it last. (1) Luton Times, 28 June 1873. (2) Luton Times, 11 October 1873. (3) Bedfordshire Times, 4 August 1888. (4) Luton Times, 20 March 1875. (5) Manchester Courier, 19 December 1892. (6) Luton Times and Advertiser, 18 May 1894. (7) Bedfordshire Times, 7 June 1895. (8) Bedfordshire Advertiser, 26 May 1899. (10) Beds Advertiser, 19 March 1909. (11) Beds Advertiser, 2 June 1909. (12) Luton Times, 29 July 1910. (13) Luton Times, 15 November 1912. (14) Luton Times, 31 May 1912. (15) Luton Times, 1 Nov 1912. (16) Luton Times, 29 March 1912. (17) Luton Times. 16 May 1913. (18) Beds Advertiser,5 June 1914. (19) Luton Times, 3 September 1915. (20) Bedfordshire Times. 25 May 1928. (22) Bedfordshire Times, 28 July 1939. (23) Bedfordshire Times, 26 January 1934. (25) Bedfordshire Times, 23 May 1952. (26) Luton News, 25 June 1953. See also: 1970s Luton schools cross country at Stopsley, including programme for 1975 Luton United AC races. Go Feet is a blog about running, its history and culture. As well as my own running as a Kent Athletic Club & Hilly Fields parkrun regular in South London, I'm interested in the broader sport of athletics and what people have written, thought and even sometimes sung about it. I occasionally make forays into other sports and the great outdoors. Tiny Runner: IT'S ALL DOWNHILL FROM HERE… HOPEFULLY! New blog posts can now be found at my new website www.ppmarathon.com. Check it out! Thanks.